What could be a better summer holiday destination for the whole family than the Disney World in Florida? Take your family, pack your bags and book the Caribe Cove Resort from $83 to stay close to the world famous theme park and also save up to 70% on your hotel off regular rates. 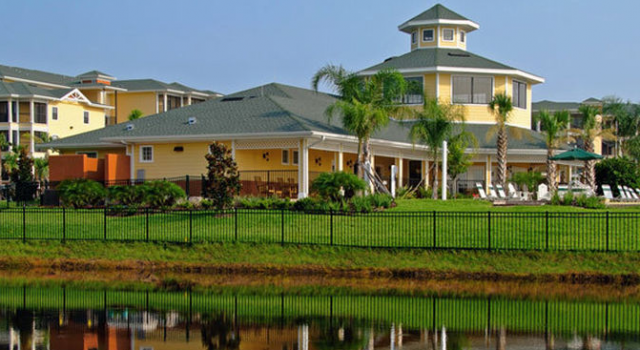 The villas of the Caribe Cove Resort are secluded enough for a quite vacation and still pretty close to lots of Orlando attractions. The hotel has its own beautiful gardens, but the property is also in the middle of a nature preserve. The theme parks of Disney World are less than 10 miles away, but the Sea World of Florida is also close. You can book beautifully furnished two and three bedroom villas at the resort overlooking the lake, the gardens or the surrounding woods. The villas of Caribe Cove Resort Orlando have laundry facilities, three televisions with cable channels, air conditioning, hair dryer, iron with board, spacious living and dining area, telephone and more. 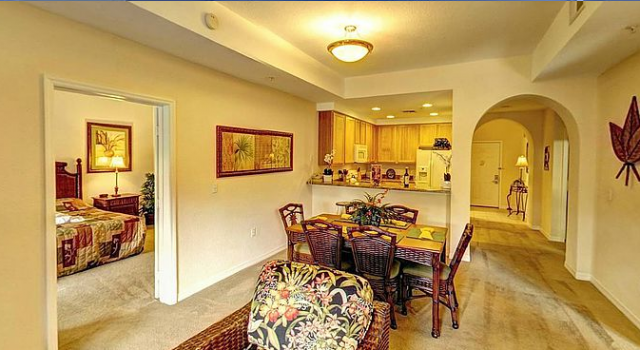 Also, all the villas have a fully equipped kitchen at Caribe Cove Resort. They have a full size refrigerator, microwave, toaster, coffee maker, kitchenware, blender and oven with stove. If you want to make your meals outside the kitchen, you can use the outside grills for a nice barbecue with the family. All guests get free parking at the Kissimmee resort as well as access to the heated outdoor pool and whirlpool with sundeck. Caribe Cove Resort also has a steam room and sauna, a fitness center that is open 24 hours a day and guests can request in room massage services. The on site gift shop is also open 24/7 and you can get food delivered to your villa from nearby restaurants. There are so many great hotels and resorts of all categories both in the Disney area and in wider Kissimmee that you should not book the first offer you see. Choose as many merchants as you like from the box, enter your preferred travel dates and then you can easily compare tens, if not hundreds, of offers for hotels in Orlando or even other cities in Florida.